With ever shorter product life-cycles, varying packing sizes, batch manufacturing and new product designs, manual packing and palletizing simply cannot keep up with demand. 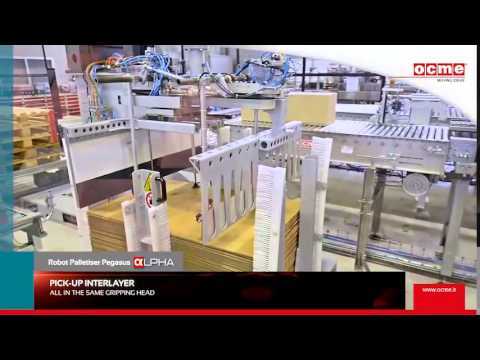 A robot palletiser offers the flexibility and reliability you need to stay productive and competitive. 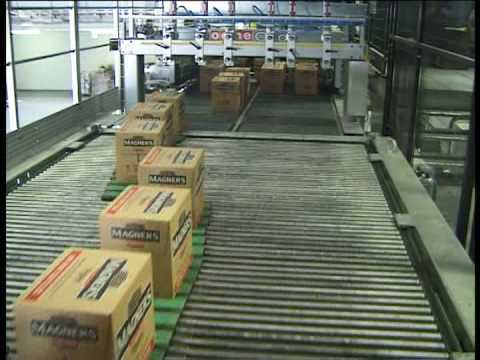 The Pegasus line of robot palletizers from OCME come with multiple gripping system or layer grippers to pick up a complete layer of packs, capable of handling packs such as bundles, cartons, crates, multipacks, drums, etc., with output speeds of up to 7 cycles/minute. The structure of the robotic island may be tailored according to the type of container to be handled, the speed of the production line and the accessory operations that the robot must carry out (for example, empty pallet infeed, insertion of layer pads).